In Oman, a noteworthy move has been made towards student-centered instructional design especially in higher education facilitated by emerging technology. The current study aims to examine the effect of implementing the Flipped Classroom Model (FCM) on the motivation level of Omani EFL (English as a Foreign Language) learners to speak English. A mixed methods approach was used in this quasi experimental study. In the quantitative dimension, a Motivation in English Speaking Performance Questionnaire (MESPQ) was distributed in three phases: before, during, and after the application of FCM over a period of 15 weeks. Furthermore, in the qualitative dimension, reflective journal forms were collected to obtain more in-depth information. The sample group studied comprised 27 students majoring in English in the Advanced Communication Skills course at Buraimi University College (BUC). The findings showed that using FCM as a teaching approach helped to develop a creative, engaging, and motivating climate in the EFL speaking class. Significant differences (p < 0.001) in students’ motivation levels before and during the implementation of FCM indicated that FCM contributed significantly to increasing students’ motivation in English speaking performance over time. Besides, the Omani EFL students showed significantly greater inclination to be involved in the speaking activities over time, including their interest in applying FCM in all taught courses. Further studies on FCM could focus specifically on its effect on learners’ achievement. Al-Zedjali, K. A., & Region, M. (2009). 12 student’s beliefs’ about learning to speak English. Retrieved from http://www.moe.gov.om/Portal/sitebuilder/Sites/EPS/Arabic/IPS/Importa/tesol/6/Student%E2%80%99s%20beliefs%20about%20learning%20to%20speak%20English.pdf. Chin, C.A. (2014). 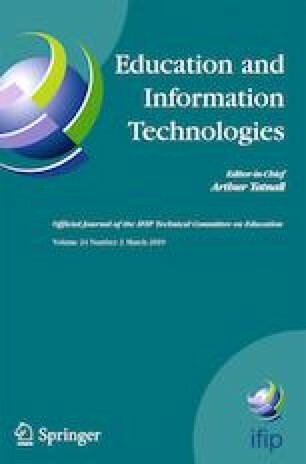 Evaluation of a flipped classroom implementation of Data Communications Course: Challenges, insights and suggestions. Retrieved from http://www.spsu.edu/cte/publications/publications2014/sotl_2014_chin.pdf. Fisher, R., Perényi, Á., & Birdthistle, N. (2018). The positive relationship between flipped and blended learning and student engagement, performance and satisfaction. Active Learning in Higher Education. https://doi.org/10.1177/1469787418801702. Grgurovic, M. (2010). Technology-enhanced blended language learning in an ESL class: A description of a model and an application of the diffusion of Innovations theory (Doctoral dissertation, Graduate Theses and Dissertations, Iowa State University). Retrieved from http://lib.dr.iastate.edu/cgi/viewcontent.cgi?article=2639&context=etd.